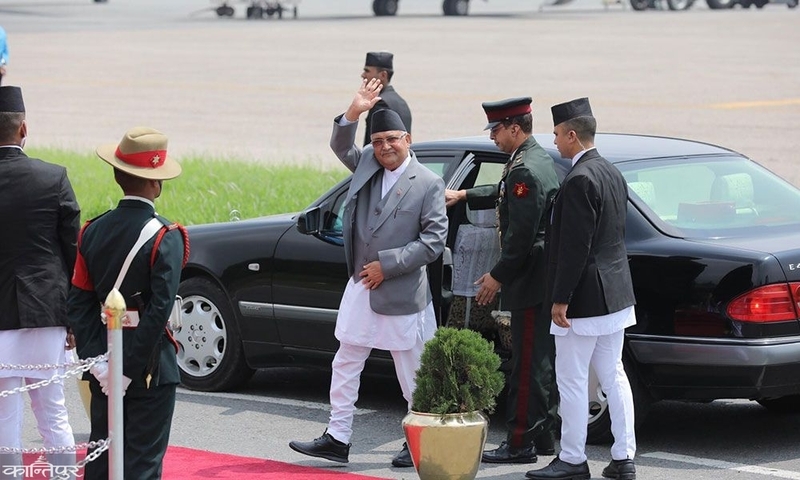 Kathmandu – Prime Minister KP Sharma Oli has returned home today after completing six formal formal tours of China. 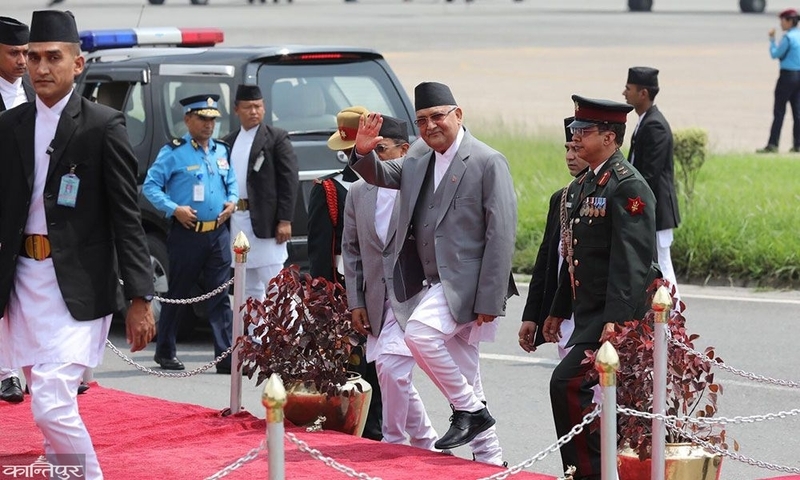 Prime Minister Oli arrives home tomorrow morning at 15:15. 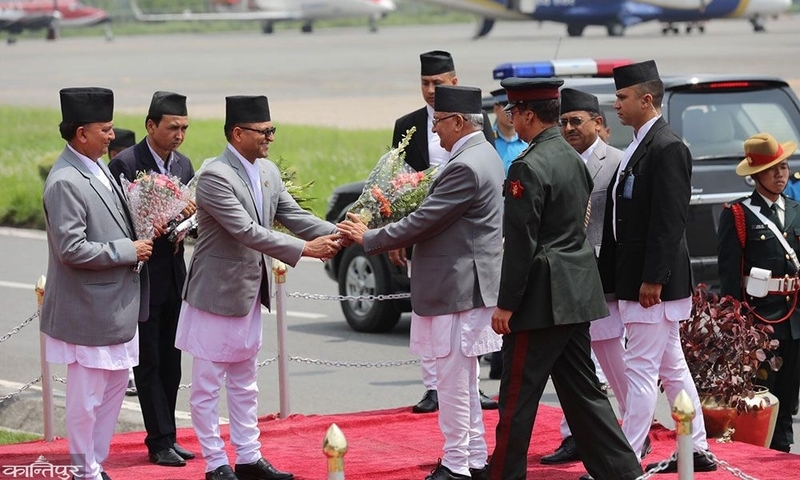 He was welcomed by Deputy Prime Minister and Defense Minister Ishwar Pokharel, Chairman of National Assembly Ganesh Timalsina and senior CPN-M Madhav Kumar Nepal as well as the High Court of Tribhuvan International Airport. 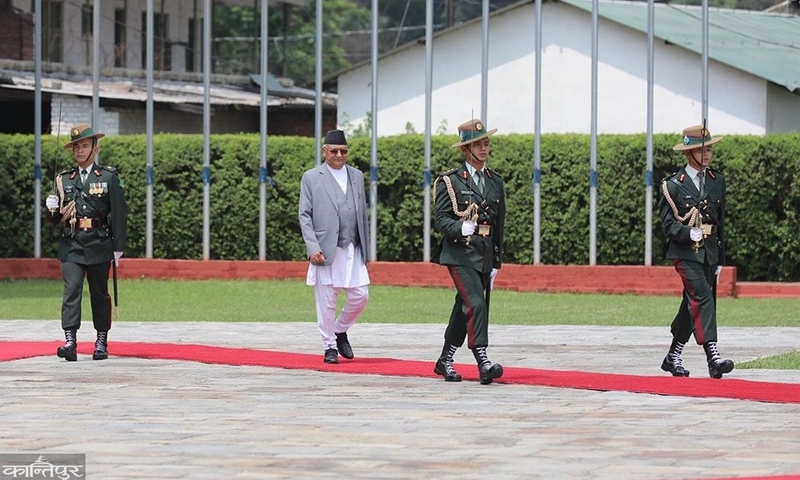 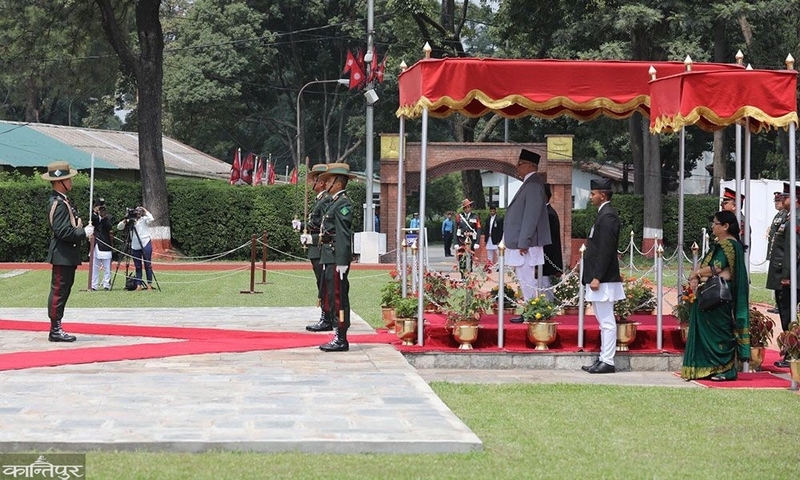 Prime Minister Oli had departed to China on September 28.